An annoying cold keeps blocking my nose, so any decent chocolate tasting is out of the question. 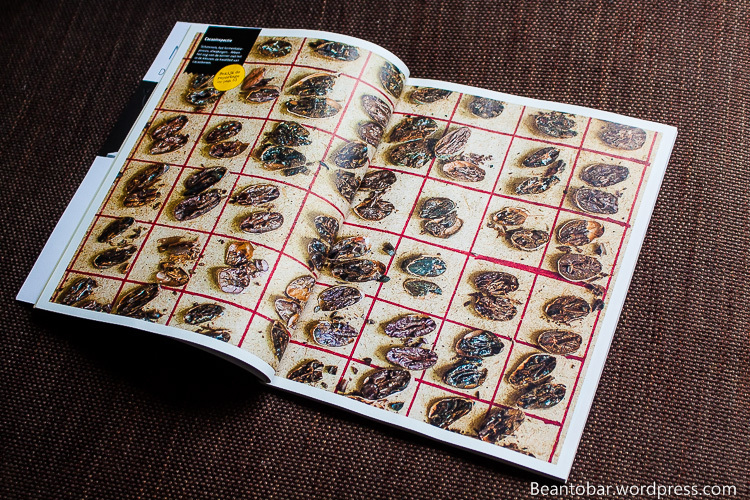 By luck, I’ve discovered a nice magazine to keep my cacao craving mind busy. 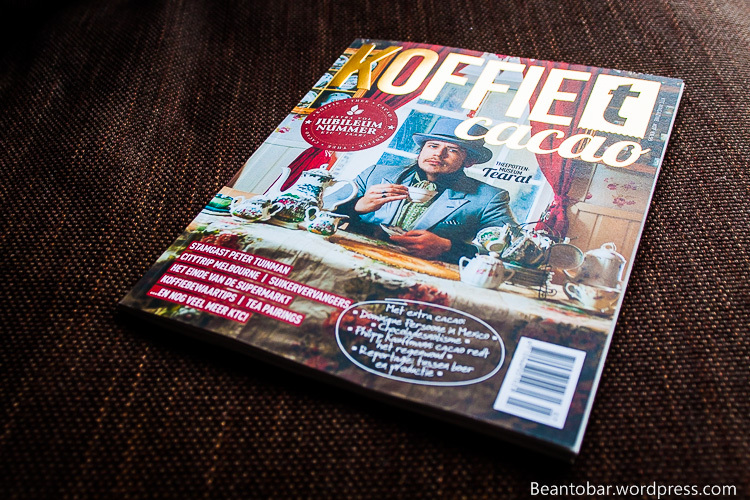 Unfortunately, “Koffie T Cacao” is a magazine only printed in Dutch, but any of my Dutch speaking readers might be interested in this fine publication. Bundling Coffee, Tea and Cacao information, it hits a soft spot of anyone interested in fine tasting products. This particular issue, being the celebration of its 1 year, focuses a lot on cacao making it a must read for chocolate aficionados. Somehow it still is so much better to actual hold a magazine to read an article, instead of peering to a computer/tablet screen. It once more acknowledges cacao’s and chocolate’s new position in the world of fine food products. Bundling three distinct product may seem a lot, but actually these form a triumvirate of potential taste bombs and as a reader, you get intrigued by the other one’s you weren’t focusing on at the start. Magazines like this one always remind me a bit of a treasure map. They finally point you in the direction of where to get the good stuff and keep you up to date of what is happening in this exciting field of taste experiences. KTC combines informative articles with small news items and stunning photography. Just the way I love my lecture. Pleasing to the mind and eye, tickling your interest and putting new products in your field of view. 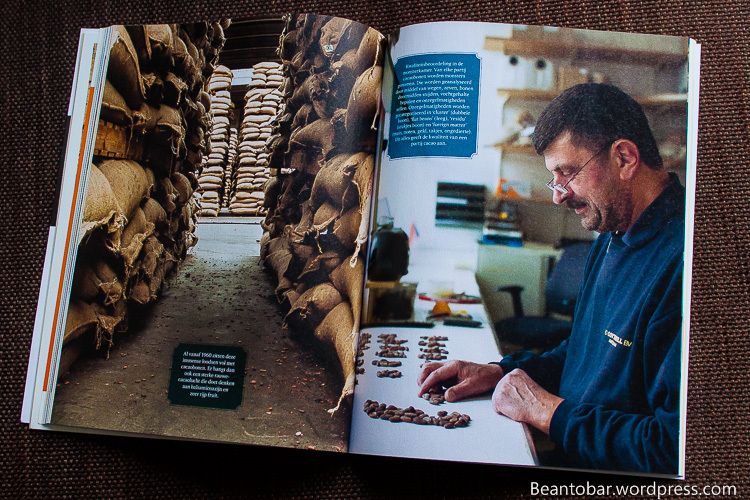 KTC issue 7 offers articles including Dominique Persoone’s experiences on cacao in Mexico, features an interview with Philipp Kauffman of Orignal Beans and gives a view on a cacao traders warehouse and operation in Amsterdam. And the coffee and tea parts are well worth the read too. A perfect past time in this end of the year period!